Combine cauliflower, garlic cloves and artichoke hearts in a casserole dish. Toss with olive oil and season with salt and pepper. Roast uncovered vegetables at 425° F for approximately 20 minutes or until tender. Remove from oven and cool to room temperature. Place roasted vegetables, tahini and lemon juice in a food processor or blender. Process until smooth. 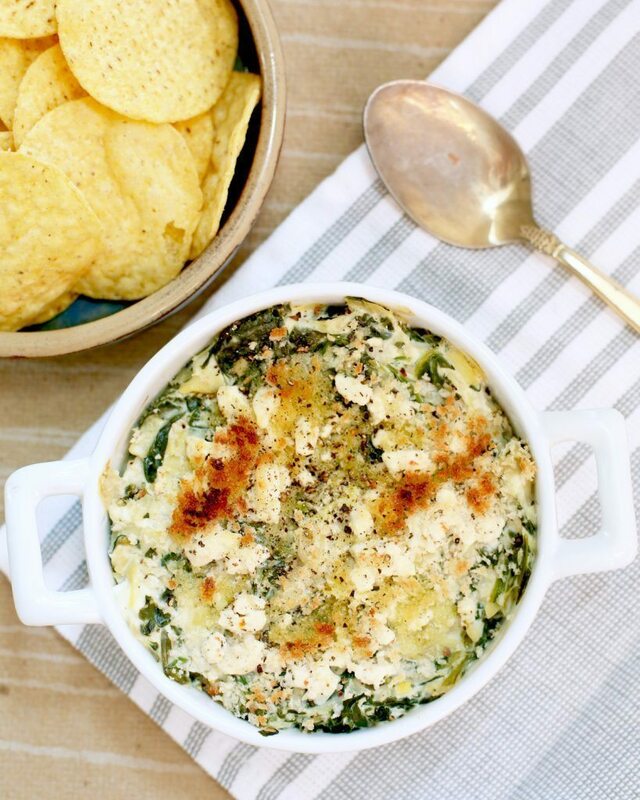 Return processed vegetables to casserole dish, garnish with crumbled feta and cover with foil. Dip can now be warmed on grill or in an oven at 375° F.
When serving, remove foil and sprinkle with black olives and paprika. Serve with pita chips, crackers or sliced vegetables. Per serving: 79 calories, 6g fat, 3g protein, 4.3g carbohydrate, 1.7g dietary fiber, 2mg cholesterol, 184mg sodium, 85mg potassium.